There are few things that irritate me more than trying to have a conversation with someone who has their face buried in a cell phone. I realize times have changed and electronic communication devices are a part of everyone’s lives, but it is painfully obvious to me when someone lacks social protocol. Either they’ve never been taught correctly or have become so addicted to the tiny screen they don’t realize the impact they’re having on their friends in the real world. I see it all the time with my girls and have to remind them constantly to put the phone down and pay attention to the sporting event, concert, conversation or even their meal. I’ve even caught Nicole with her eyes on her iPhone when having a conversation over lunch. 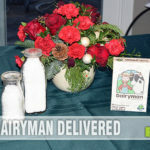 But no where is it more apparent to us than at our local game night. We gather at a local college to play board games with 40-60 other people for a few hours each Friday. As I’m sure you can imagine, sometimes games last a long time. Either they’re designed that way or drag on because there is a lot of rule explaining or indecision on what action to take. This can lead to a lot of down time between turns and it seems that rather than engage in normal conversation about current events or the game we’re playing, people prefer to pull out their phone and surf social media for the latest political meme or cat video. This inevitably leads to “put down the phone and take your turn” friendly warnings. Some in our group have garnered a reputation for slow play thanks to their attachment to their screen – one even brags about playing board games AND online games at the same time (yes, he still manages to occasionally win). Banning phones seems so heavy-handed. Friendly ribbing helps in the short-term, but might end up with someone harboring ill feelings. 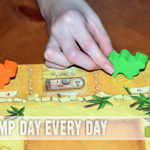 We recently discovered a new game by IELLO Games that has a very unique and unintended solution for this problem. 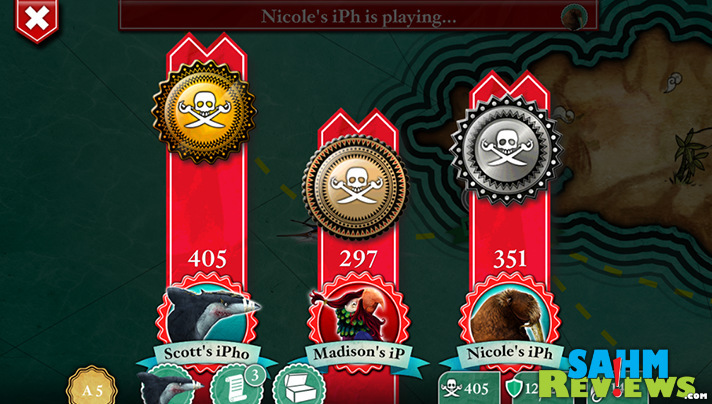 World of Yo-Ho ties up your phone as part of the game play, preventing you from being distracted! 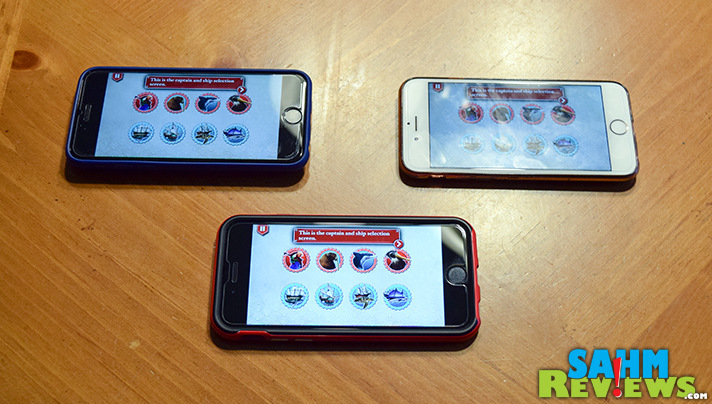 Sure, we’ve seen games that utilize your cell phone before. Normally they’re having you take selfies or scroll though your camera roll to find the funniest photo. Alchemists has the option of using an app to help determine potion components. 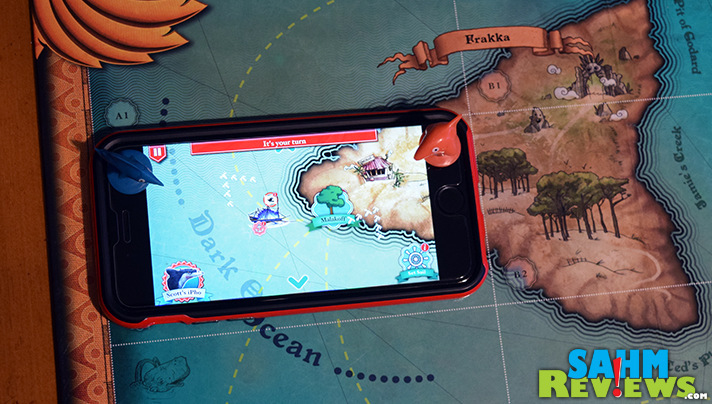 World of Yo-Ho does none of those things – it takes your smart phone (iOS or Android) and makes it an actual part of the game board. 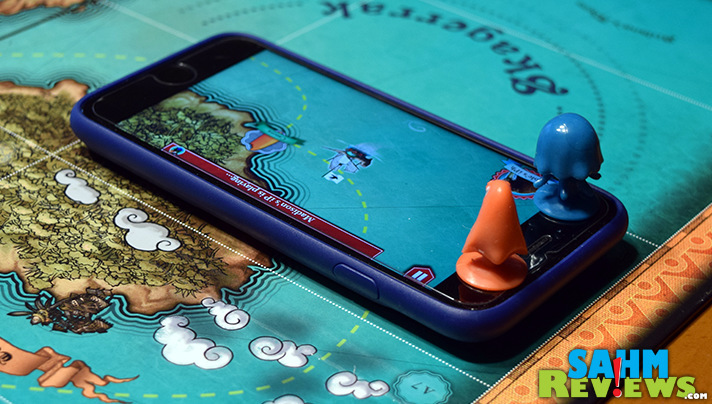 In fact, they completely replace your pawns – you are literally playing with your phone! 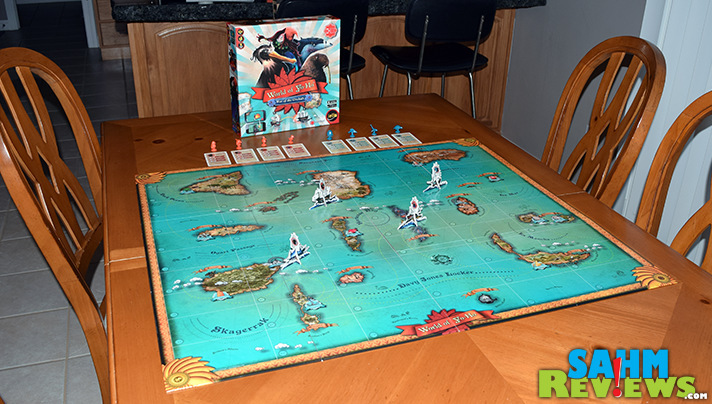 World of Yo-Ho is another in the world of pirate-themed games, which are among our favorites. Each player is vying to become the most famous pirate in a world filled with animals, islands and magic. The game includes cards for four different captains and four different ships, giving each person unique abilities and statistics. The cards are used only as reminders as your app will track everything you need for you. 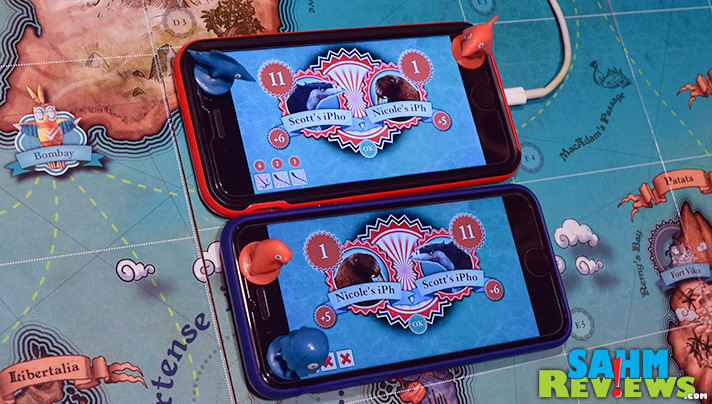 The inclusion of super-cute suction-cupped accessories to attach to your phone will help other players remember which captain and ship your phone represents! Once everyone has their app downloaded and installed, the only additional setup needed is having everyone connected to the same wifi network. At first I lamented about the need to use wireless since many times we don’t have access to the network where we game, but fortunately making one of the phones a hot spot works just fine. I’m just careful to turn off cellular data since many phones will auto-update when connected to wifi, even when tethered to another phone. All pirates in World of Yo-Ho are competing to earn Swag Points. These are earned by completing missions, defeating other players in combat and slaying monsters at sea. During the game you are also awarded Clams (the game’s currency) when completing missions. Spend those Clams on equipment to be ready to face your next danger. Turns are rather quick with only two actions allowed per turn. Choose from movement, attacking another player, repairing your vessel, visiting a port or a custom action pertaining to the mission you are currently completing. 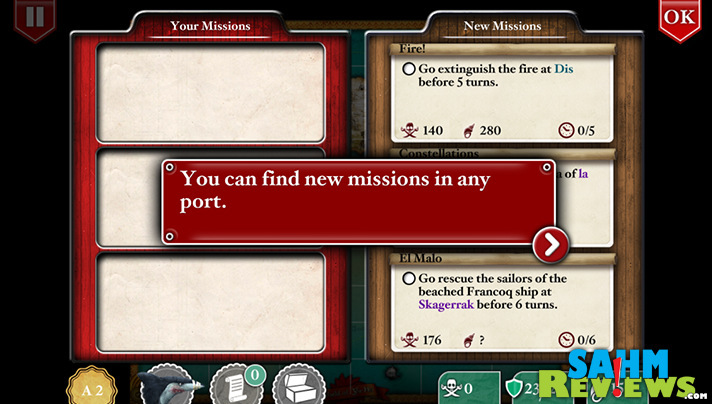 Visiting a port gives you a number of additional choices, from picking new missions to upgrading your ship. The meat of the game is the completion of missions, but for me the combat in World of Yo-Ho is the most fun (and who doesn’t want to sink another pirate ship!). Combat takes place over three steps – the declaration, programming and resolution. If you’re adjacent to another ship, simple click on the attack button on the phone of the person you want to attack. Both pirates take their phones into their hands and alternate placing combat items from the market into their combat line. There are a number of possible combat items to use, some from a distance and others for close-combat (melee). 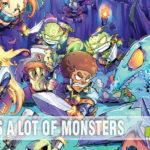 Timing of placement is key to successful combat and the winner of the battle earns Swag points and gets to plunder the opponent’s hold of 1-3 combat items. Any combat items used during the melee are discarded and their Resistance stat is also reduced by an amount equal to their opponent’s Strength. At the end of each round, if any pirate has met the Swag criteria (set during game setup) the game is over. The person with the most points is declared the winner and the most influential pirate in the World of Yo-Ho! 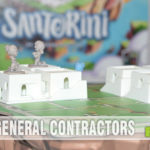 This marriage of offline and online games is a brand new attempt at reaching both markets and has done a wonderful job of balancing both worlds. 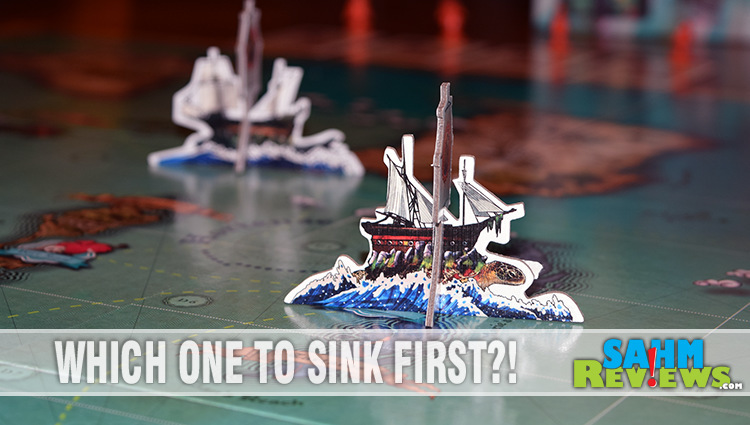 World of Yo-Ho can also be played with just one phone, using cardboard standees to represent ship positions and everyone sharing one phone or tablet. You can find copies of World of Yo-Ho on Amazon for under $40 or at your local game store. We can only hope to see more games like this which bring together technology with offline gaming. Keep an eye on IELLO’s Facebook and Twitter timelines to find out when they’re adding to this line or introducing something completely new! Or sail over to their website and sign up to be on their mailing list! This would also be a good time to review our portable battery comparison. A long game might drain your reserve! 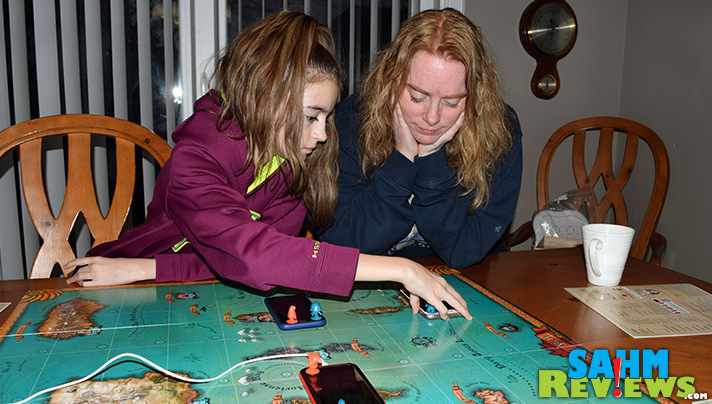 What is your game night pet peeve? How cool! This is the first board game I’ve seen that utilizes tech like this. I can’t wait to try this. What a great idea… having phones be part of the game and not against the game. Would make people be more involved. What a fun game! The fact that the phones are involved with get my boys on board (pun totally intended)! I think my game night pet peeve would be no one paying attention to the game because of the phone! This would be a great compromise!